Once approval was granted by the federal government for the rail line to pass through Birtle the Town Council lobbied for the line to come into the heart of the town, as near as possible to the intersection of Main Street and Centre. However, for geographical reasons the railway company chose a route on the north side of the valley half a mile from the town centre. 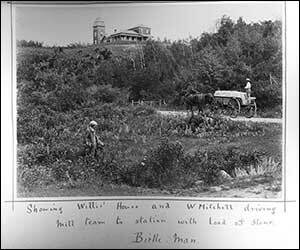 This meant that a low incline route up the steep north hill would have to be found in order to safely transport people and goods to the station. 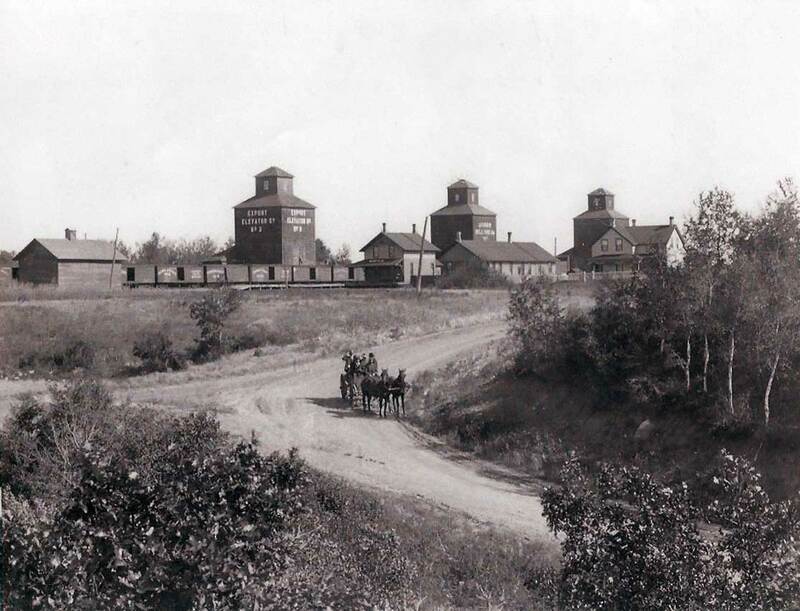 On May 14th,1886, twenty acres of land in the town plot was granted in blocks as a gift to the railway company to provide options as to where exactly it would lay the track. D.J. O’Keeffe, D.L.S. 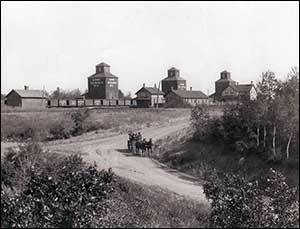 was engaged to survey the road to the station on November 3, 1886. The route that was chosen was a ravine on E.P. Leacock’s property. 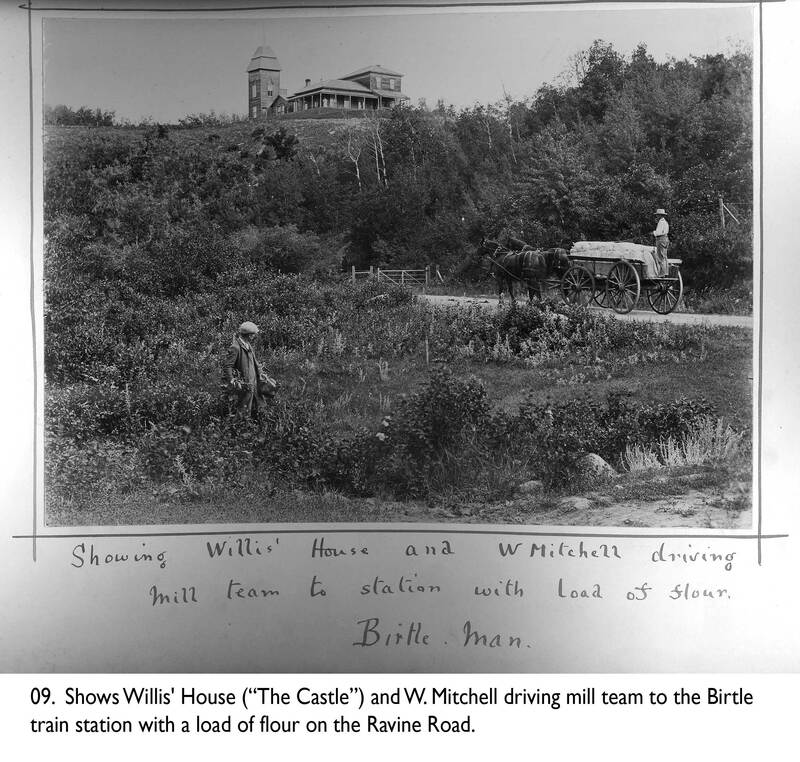 Leacock stipulated that, should his property ever be sold, the ravine would be excluded from the sale and gifted to the Town of Birtle for use as a road to the station. The Council minutes of July 4th, 1888, listed the men working on the station road and their daily pay ranging from $3.00 a day at the high end of the scale to one man, Robert Gourlay, receiving the lowest pay at 25 cents. Interestingly, Robert Gourlay later became president of Beaver Lumber Company and a wealthy man. 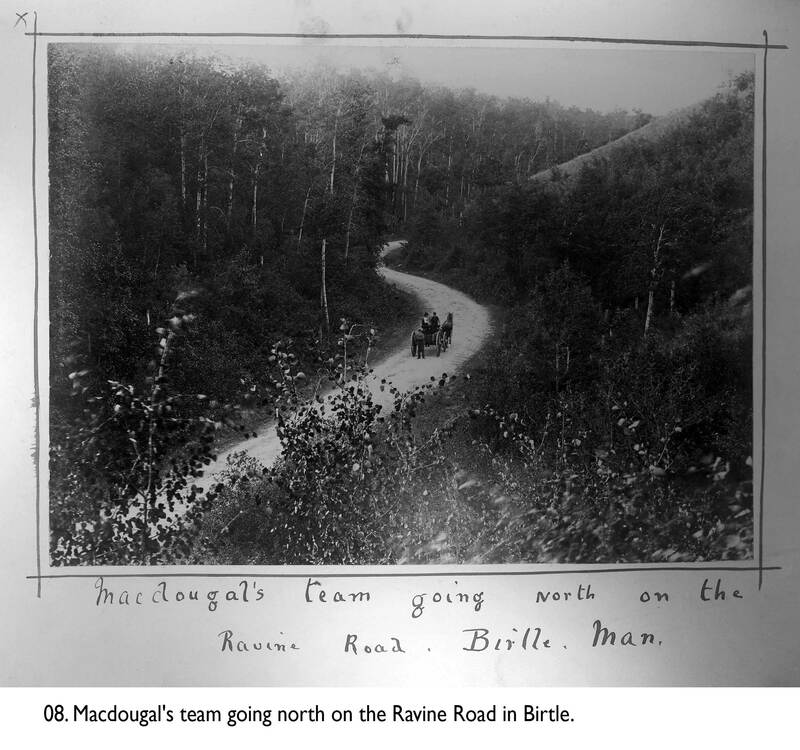 The Ravine Road was used until the mid 1950s and was designated part of Highway #4 (now named Highway #16) and was the route leading west out of Birtle. 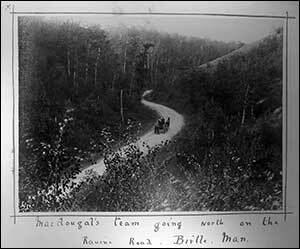 Although the Ravine Road has now been reclaimed by nature, it was an important transportation route in the town for many decades. Views of the Ravine Road. To see larger images, click on the photo.